Serre de la Madone , the Villa Maria Serena, Fontana Rosa, Carnolès Palace ... the town of Menton has many exceptional gardens, some of which are home to rare plant species. All are worth a visit, but in particular do not miss the lush and exotic Val Rahmeh Garden, located 200 metres from the hotel. 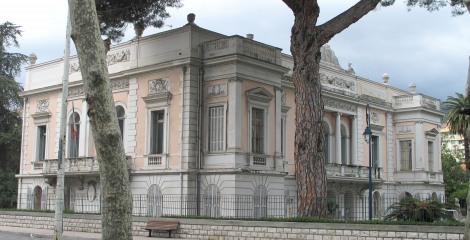 Enjoy visiting the museums of Menton and discover their fascinating collections. The city houses the Jean Cocteau Museum, home to nearly a thousand of the artist’s works, the Museum of Regional Prehistory, Museum of Fine Arts Palace and the Museum of Carnolès Bastion, and a rich history that will delight lovers of the artistic, the historical and the cultural. Just 100 meters from the hotel, the Bay of Garavan has 11 private beaches which offer a delightful opportunity for those who enjoy a swim in the sea and for those who simply enjoy relaxing on soft, golden sand. Some of the beaches are affiliated with the Hotel Napoleon and as our guests you will enjoy preferred rates on reserving sunbeds. In Menton the water sports enthusiast can enjoy a wide variety of activities. Close to the Hotel Napoleon you are certain to find something to suit you. If you have ever dreamed of trying your hand at water skiing, jet skiing, diving or sailing, here is your golden opportunity. Alternatively, why not just enjoy a leisurely stroll by the sea? The Hotel Napoleon is located close to many restaurants with various specialties to suit all budgets and all culinary tastes. Whether you enjoy seafood, traditional dishes, exotic specialties, hearty burgers, pasta on the go or the delicious temptation of an artisan sorbet, you'll find something to satisfy just a few steps away.